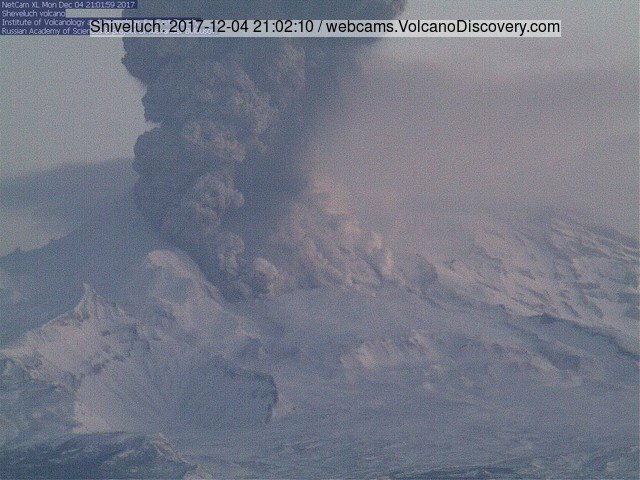 A strong eruption occurred at the volcano yesterday morning around 9am local time (9pm last night GMT). 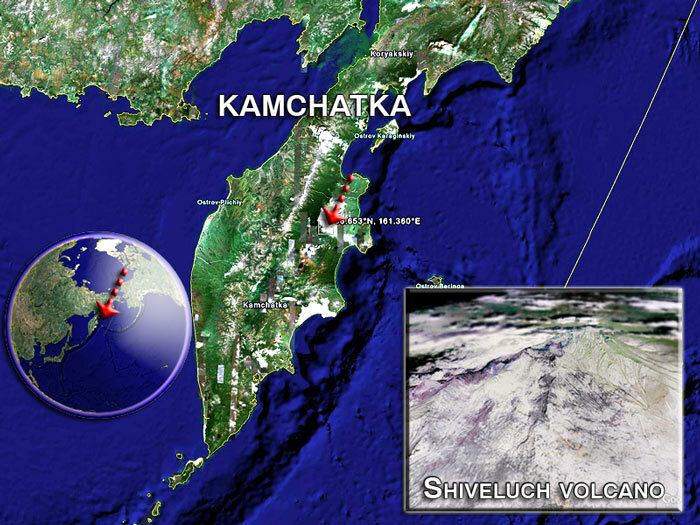 An explosion and/or partial collapse at the active lava dome produced an eruption column that quickly rose to estimated 33,000 ft (10 km) altitude and drifted both NE and SE before dissipating over the North Pacific Ocean. In addition, some small pyroclastic flows were generated that traveled approx. 1-2 km down the southwestern sector, followed by secondary mudflows (caused by melt-water) that reached up to about 3 km distance. 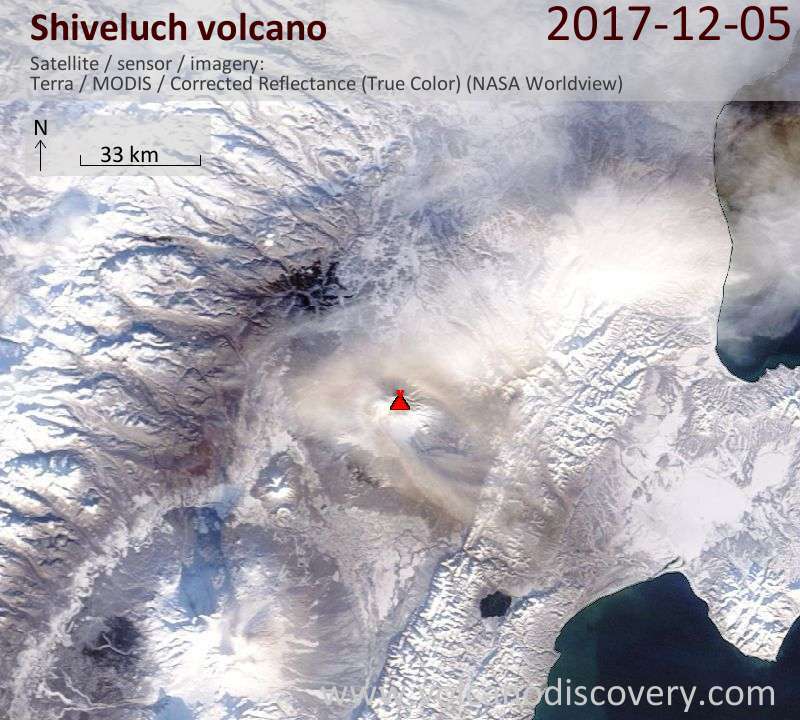 The eruption was preceded by near-constant steaming and moderate ash venting from the dome during the hours before which had started during the night. However, overall, the event came after a long period of relative calm at the volcano. 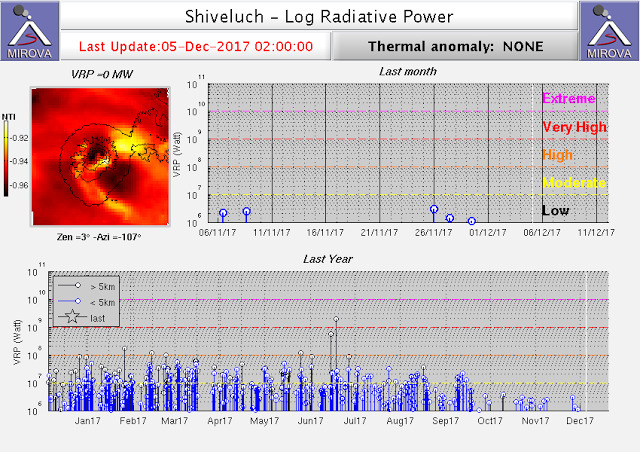 The activity at Shiveluch has been decreasing over the past months as heat emission data captured by satellites clearly show (as well as reduced frequency of larger explosions). Whether the eruption is a sign that activity might be on the rise again or just a temporary increase triggered by slowly accumulated over-pressure inside the upper conduit and lava dome remains open.